Sam Kohler is a composer, organist, and conductor living in New Orleans, LA. Since 2017 he has served the congregation of St. Paul Lutheran as their organist and choirmaster. 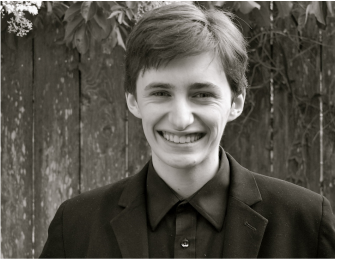 He is currently studying composition with Professor Barbara Jazwinski at Tulane University. He has previously studied with composers Eric Funk, Taylor Eigsti, Vince Mendoza, Charles Kronengold, Kevin George, Peter Stolzman, and Jared Burrows. He worked as a teacher’s assistant at the Stanford Jazz Workshop from 2010-16. Since 2013, Kohler led his own ensemble, the Sam Kohler New Music Ensemble. Its goal is to champion new works by contemporary composers. It is made up of high school, college, and professional musicians. After a successful debut season that included performances at the New Orleans Museum of Art and a tribute to peace and non-violence at Trinity Episcopal Church, the Ensemble released its debut recording, entitled "Synchromy," in October 2014. The recording features two works by Kohler, a work by This World frontman Lee Kohler, and a work by the Ensemble’s pianist Jamie Koffler. In June 2016, Kohler travelled to Great Falls, MT to record Synchromy No. 2 with the Cascade String Quartet and Kate Kohler. The work is structured in a four movement narrative and features a text written by Alfred Joseph. Kohler has had his works performed in New Orleans, Oberlin, Atlanta, and Vancouver, BC. He has received commissions from Lusher Charter School, Woodward Academy, and many others. Kohler's first String Quartet, Synchromy No. 1, and the solo piano work Desert Colorscapes were named as finalists in ASCAP's Morton Gould Young Composer's Competition.